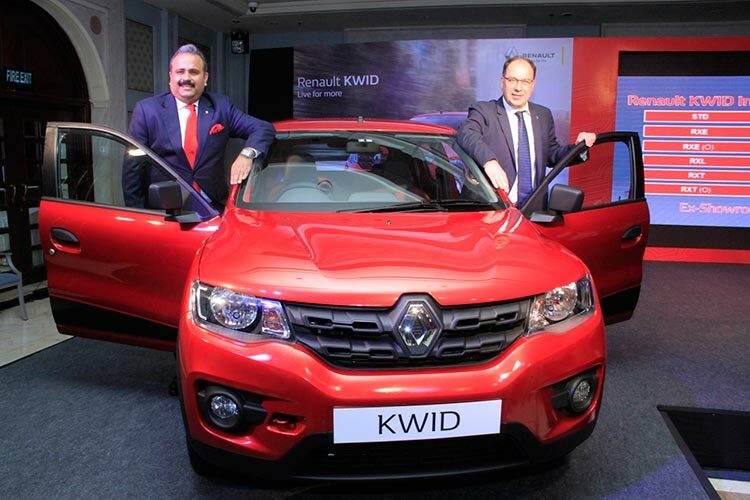 Popular French automaker Renault has created a new milestone by introducing new Renault Kwid in Indian market. Renault being the fastest growing automotive companies in the country, in a grand event organised in Delhi announced the launch of the much expected car of the year 2015 – Renault Kwid. Kwid’s attractive introductory entry-level pricing of Rs 2,56,968 Lakh (ex- showroom, Delhi) reflects the importance of India in Renault’s global expansion plans. With Renault KWID, we offer our customers the best compact hatchback which has been designed and developed by Renault’s global teams including India, making it a truly international car. We have completely reinvented the conventional expectations and notions associated with the mini car segment in India with an Attractive, Innovative and Affordable product. Renault KWID is astutely designed, loaded with class leading features and comes at a compelling price point, offering customers the best from the world of Renault. With Renault KWID, we have taken the localization level to 98%, the highest ever by an auto manufacturer in India at the onset of launch, which will enable customers to enjoy an unmatched ownership experience. Renault KWID is the most fuel efficient petrol car in India as the car offers brilliant mileage of 25.17 kmpl, the car being powered 3-cylinder 0.8 liter SCe – Smart Control Efficiency petrol engine. The highlights of Renault Kwid include best-in-class ground clearance of 180mm, a boot capacity of 300 litres, 7-inch touchscreen Media-Nav system and all digital instrument cluster. The length and width of the car is compact and offers a very stunning, powerful road presence as well as superior interior space. When it comes to Renault KWID accessories, the car comes with tempting array of design, trim with technological accessories that allows customers to personalise their car. An exciting range of accessories across 60 different categories have been developed along with an interesting set of lifestyle decals. 6 Renault Kwid accessory packs are available that includes: Basic pack, Essential pack, Smart Chrome pack, Intense Chrome pack, Luxury pack and Outdoor pack. When it comes to dimensions of the car, it is pretty much compact. 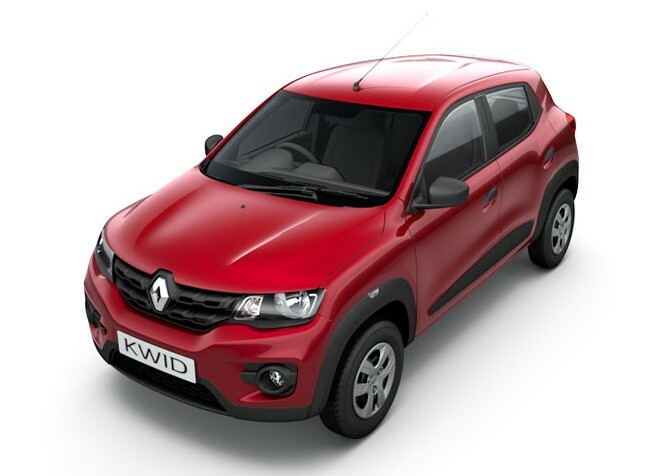 Length wise, the KWID measures 3679mm and has got a width of 1579mm and measuring 1478mm in height. The wheelbase dimension of Renault Kwid is 2422mm. 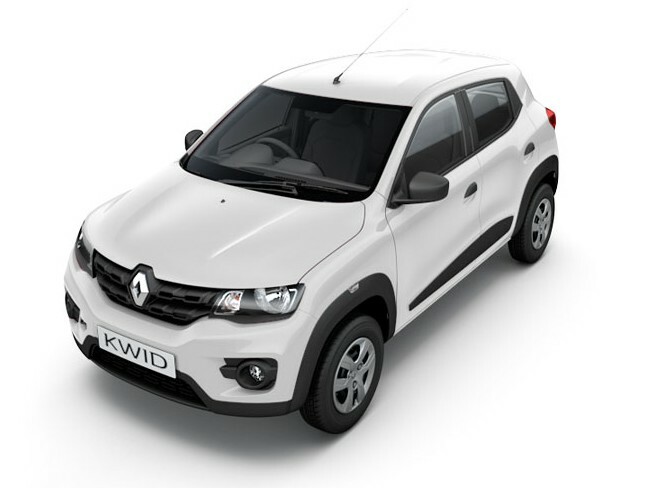 Renault Kwid is powered by 3 cyclinder engine with capacity of 0.8 litres. The engine churns out a power of 54 PS at 5678 Rpm and delivers a peak torque of 72Nm @ 4386 Rpm. Talking about the suspension, in the front the car comes with Mac Pherson Strut with lower traversing link and the rear suspension of Renault Kwid is of twist beam suspension that comes with coil spring. The boot volume of the car is 300 litres, by folding the rear seats one could get a whooping boot capacity of 1115 litres. The fuel tank capacity of the car is 28 litres. Unique SUV Design: The first car that stands ahead of its time with a unique SUV design which has been enhanced by the best-in-class ground clearance and an upright bold and structured front grille. Renault KWID has a powerful and significant road presence with dual tone bumpers, and other distinctive design elements including the new “C” shaped Renault lighting signature. Big Car Styling: Renault KWID boasts of an ensemble of the best features that embellish its style statement – these include best-in-class exterior dimensions for a big car feel and incredible interior space, class leading wheelbase of 2422 mm. Renault KWID has the best-in-class boot space of 300 litres, extendable to 1115 litres, which offers superb flexibility and convenience. Renault KWID being the first-of-its-kind in this segment is equipped with 7-inch touchscreen Media-Nav system and comes with full digital instrument cluster, features like remote keyless entry with central locking facility is also provided. Kwid also gets one-touch lane change indicator, front fog lamps to further boost the illumination and visual appeal. As we spoke earlier about performance and efficiency, Renault KWID comes with a brand new highly efficient drivetrain that consists of a 3 cylinder, 0.8 litre, 12v engine which is coupled to perfectly optimized transmission, that works in harmony to complement the best-in-class fuel efficiency. Further, Kwid’s 4-valve-per-cylinder DOHC engine comes with built-in lifetime maintenance free timing chain for better durability. 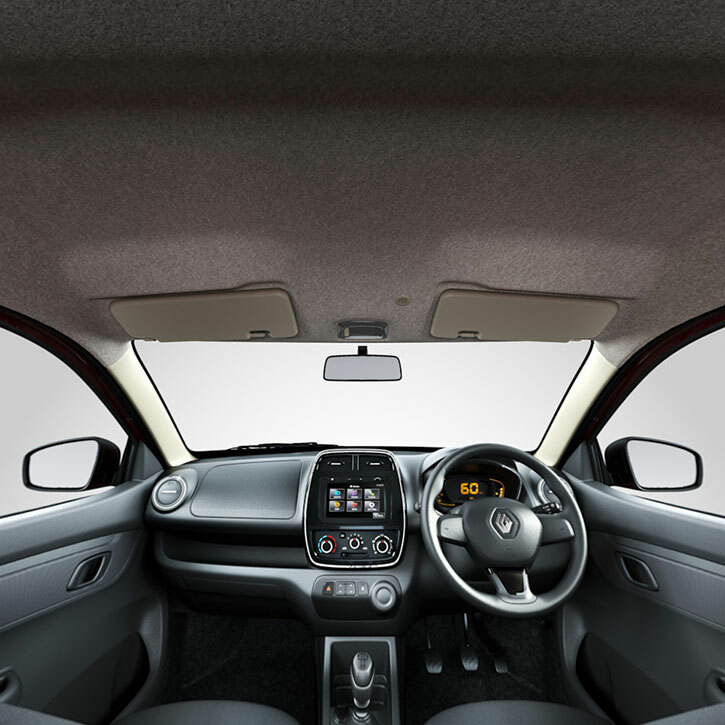 When it comes to ergonomics and design, the Renault KWID offers good comfort as well as convenience by having the best-in-class high-seating position that comes with more shoulder and elbow room, class leading rear knee room, premium contoured seats – all these constitutes for better ergonomics. 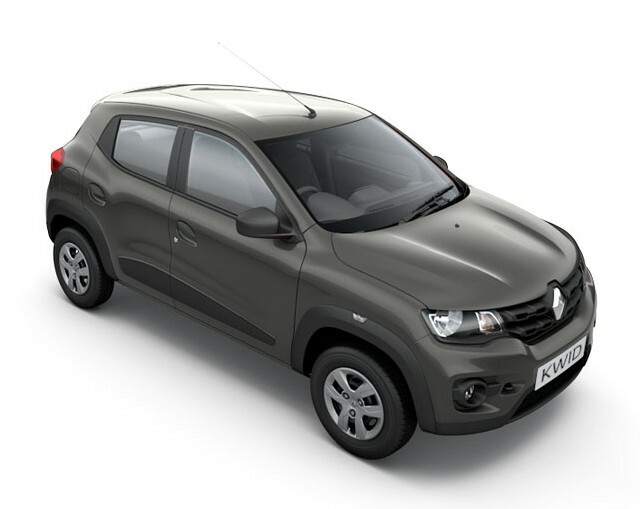 The all new Renault Kwid is available in 5 different colours: Red, White, Silver, Grey and Bronze. What tech features do you get inside Renault Kwid? USB, Audio content display and navigation of iPod through MediaNAV is supported. The digital instrument cluster features an onboard digital trip computer that highlights gear shift indicator, distance to empty average fuel consumption, etc. Driver aid Equipment – One touch lane change indicator, intermittent windscreen wiper with tear drop wipe. When it comes to Indian automotive industry, launching the right product, at the right time is very important and also the pricing of the car plays a crucial role. With Renault KWID, the french-automaker, Renault shall be entering the mini-car segment that accounts mostly about 25 percent of overall automobile sales volume. The timing of this new car from Renault is perfect as the auto industry is slowly bouncing back and the economy is gradually stabilizing as well. How fuel-efficient is Renault Kwid? What’s the Renault Kwid mileage? To add much to the glory, Kwid offers best-in-class fuel efficiency of 25.17 Kmpl that comes with the all-new 0.8 litre SCe – Smart Control Efficiency engine, making it the country’s most fuel-efficient petrol car. Renault Kwid is equipped with technologies like a steel-forged crankshaft which comes with optimized bearing dimensions, stainless steel close coupled catalytic converter, double loop lambda monitoring for accurate air and fuel ratio monitoring with drive-by-wire throttle control. Does Renault Kwid offers hassle free maintenance? Yes, says the company. 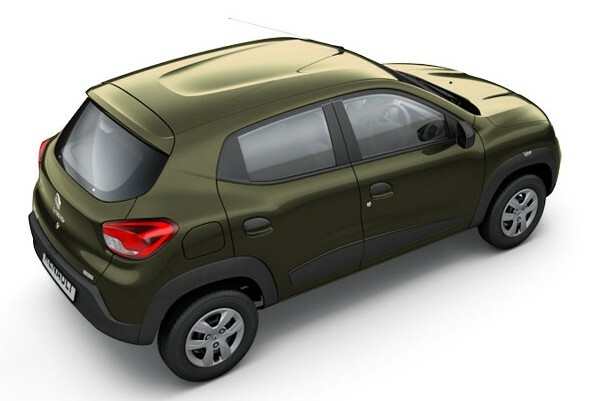 Since KWID has a low friction engine design, this helps in low energy loss and for delivering optimum fuel Efficiency. 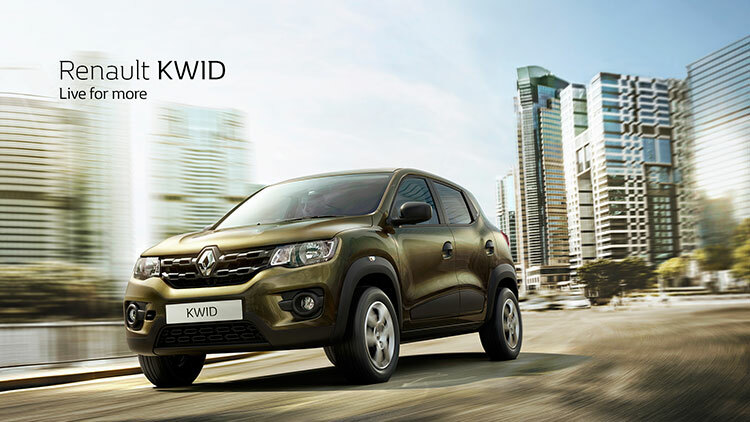 The engine of Kwid offers reduced oil capacity that translates to lower maintenance cost. Renault KWID will be best-in-class in maintenance part costs due to aggressive localization ( Read: 98% of Renault Kwid is made in India ) and optimization which has a very positively impact on overall ownership cost of the car. We are going to bring a full-fledged detailed review of all-new Renault Kwid when we get the car for review. Also read: Renault Kwid bookings are now open. Also read: Renault Kwid variant-wise features.